In New Jersey, you have a lot of different insurance coverages you can choose when getting your insurance policy. One is called liability. That covers you or whoever is driving your vehicle at the time of an accident when someone else makes that claim against you. 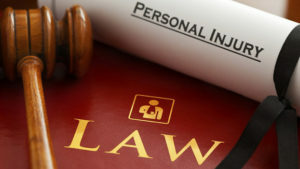 Another type is called personal injury protection, or PIP. That’s the amount of medical coverage you have to get your bills paid in the event of an accident. There’s also property damage, also known as collision damage, where in the event the car that hits you doesn’t have insurance or enough insurance, you’ll be able to get your car repaired under your own policy. There’s also uninsured motorists and underinsured motorist’s coverage which protects you in the event the car that hits you doesn’t have any insurance, or doesn’t have enough insurance. Insurance coverage is mandatory to have in New Jersey and therefore, a person who is caught driving without car insurance will face serious penalties. In order to make sure that the maximum amount of people have coverage, the state provides a Basic Policy that is available to all drivers and it is the minimum amount of protection that a driver can legally have in New Jersey. The state recommends this policy for young drivers, those with very few assets and very few familial responsibilities. The point of this is that a person can have this while they work to afford a larger policy in the future. For Personal Injury Protection, the Basic Policy only covers $15,000 per accident but does allow for up to $250,000 for serious injuries such as a permanent brain or spinal cord injury. There is no uninsured or underinsured motorist coverage under the Basic Policy because this is the type of policy that would be considered underinsured itself.